Can the Brexit affect Euromillions? 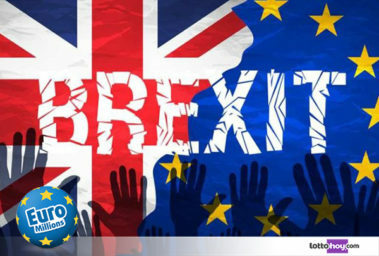 After the Brexit referendum (the United Kingdom’s exit from the European Union), the economic repercussions that this exit can have by not having a free trade agreement are being discussed. But can this affect the EuroMillions players in the UK? Playing EuroMillions will not be affected at all by the exit, and will remain a lottery that can be played in the UK. The only repercussion that this Brexit can have is that it can affect the money that is paid in the prizes due to the currency exchange. Not belonging to the European Community, does not interfere to continue playing and participate in their millionaire jackpots. We recall the case of Switzerland, which participates in the Euromillions organization, but does not belong to the European Union. In the United Kingdom, the Euromillions is administered independently by Camelot, which is the one that has the license to operate this lottery, although some government departments they can supervise some aspects of their operations. But it is not subject to EU laws or regulations. The Brexit would benefit the jackpots and higher prizes. The biggest benefit in the top prizes and in the pot or jackpot of the Euromillions draws, can favor the UK players, by the exchange rates from the euro to the pound. Seven of the nine countries that make up the organization of the euro, use the Euro (€) as the base currency, and therefore, all prizes have to be converted from euros to pounds, and will depend on the change of day. With the departure of the United Kingdom from the European Union, it is very likely that there will be a fall in the value of the pound, with respect to the euro. This was already the case when the referendum was announced in 2016. Prior to that, the price of the euro against the pound was € 1 / £ 0.78, and after the vote in January 2019, the change was in € 1 / £ 0.89, which would mean that if you win a Jackpot of € 190,000,000 between one date and another, the player would get an extra benefit of € 20,900,000 (£ 18,601,000). Unlike what can happen in the EuroMillions grand prizes, which could benefit from the change of value from the euro to the pound, to the prizes of lower category and value, the opposite would happen to them . The countries that participate in Euromillions, contribute to a shared fund for the payment of prizes, an amount for each ticket they sell. Countries that use the euro contribute € 2.20 for each ticket, while the United Kingdom contributes £ 1.65, the equivalent of € 1.85, below what other countries contribute. In order to adjust this imbalance, the smaller prizes are reduced to compensate that smaller contribution of the United Kingdom. Which means that if the pound weakens against the euro, the difference will increase.